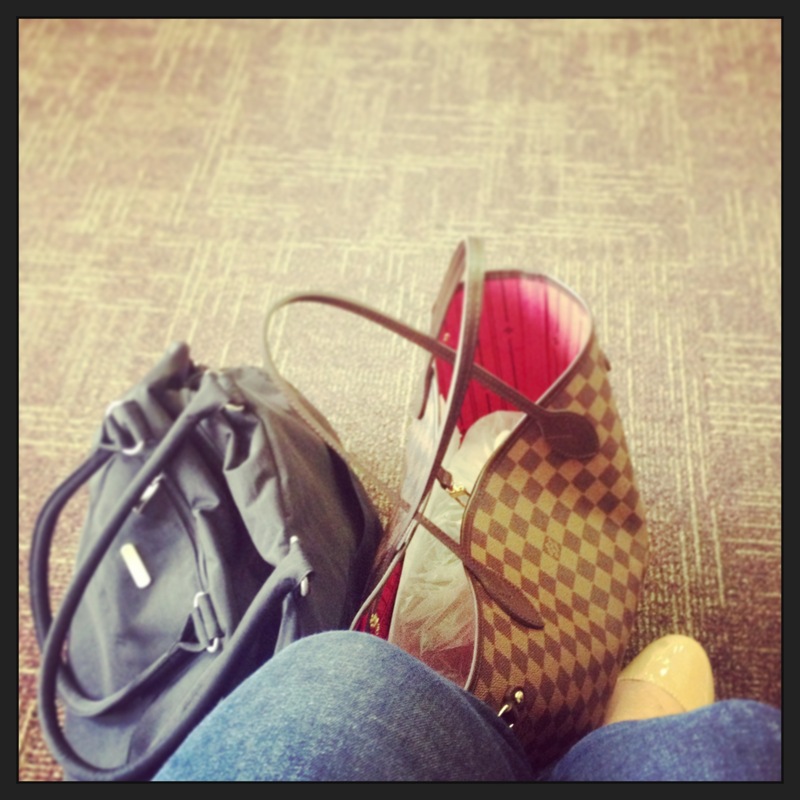 Celebrating Mom on Mother’s Day | Bringing together stories, rooms, life. Growing up, I spent a lot of time in the kitchen cooking and baking with my Mom. I grew up with home-cooked meals and lots of baked treats! We would bake cookies together just for fun and try new recipes to see if they were worthy of being kept in her coveted recipe book. And like all great Moms – she was always fun, patient, and loving. I have so many wonderful memories of my Mom and me in the kitchen and I attribute my love for cooking and baking to all of those memories. 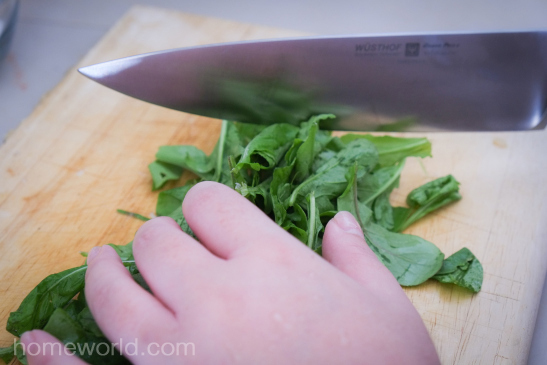 This year for Mother’s Day, I’ve decided to make some of her favorite dishes. Recently, she’s been asking for different pasta dishes. The recipe below is an adaptation of a recipe I found on the Food Network. It’s simple and the finished product looks and tastes like you slaved for hours. It’s become a favorite dish for my Mom and she always asks for extra sauce so it can be eaten with pasta. I hope you enjoy this recipe. To all our Moms – A very Happy Mother’s Day from HomeWorld Hawaii! 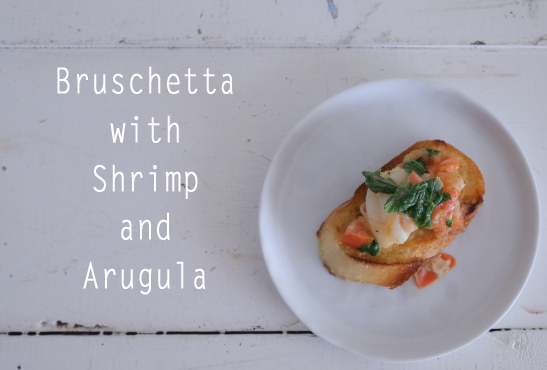 Note: This recipe was originally meant to be eaten as a bruschetta, but can be used as a wonderful sauce on almost any type of pasta. For the toasts: Put an oven rack in the center of the oven. Preheat to 400 degrees F. Arrange the bread slices in a single layer on a baking sheet and drizzle with olive oil. Bake until light golden, about 10 minutes. Set aside. 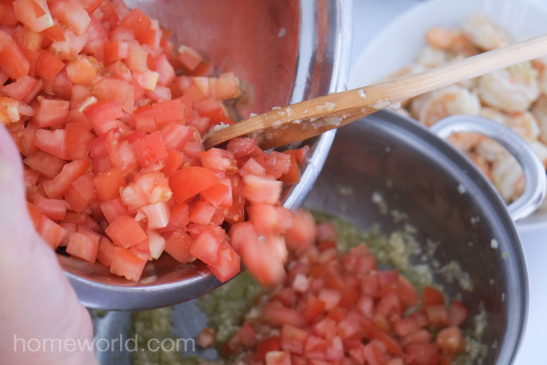 For the topping: In a medium skillet, heat 3 tablespoons of oil over medium-high heat. 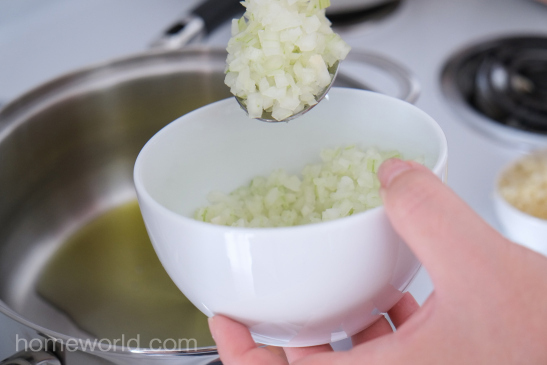 Add the onions and garlic and cook, stirring frequently, until soft, about 2 minutes. 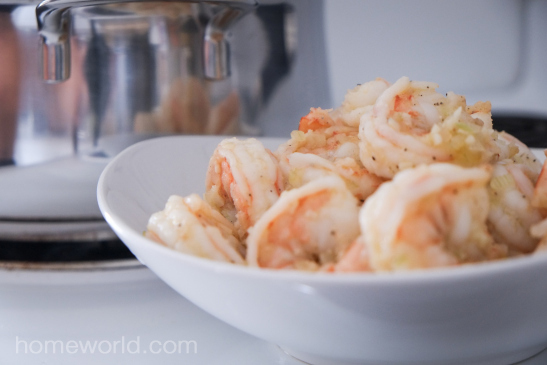 Season the shrimp with salt and pepper, to taste, and add them to the skillet. 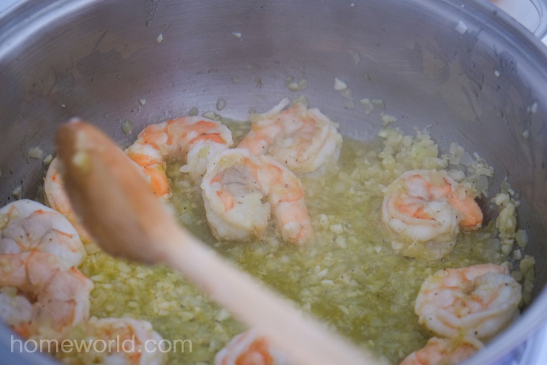 Cook until the shrimp are pink and cooked through about 3 to 4 minutes. 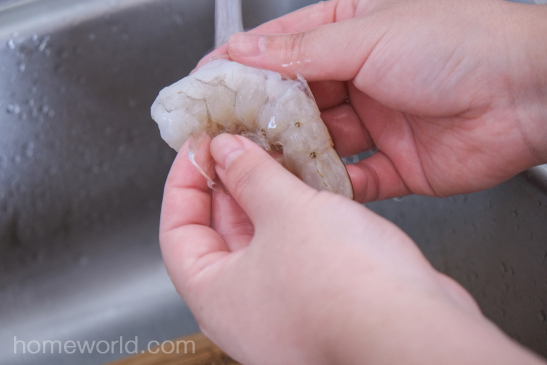 Remove the shrimp and chop into 1/2-inch pieces. Set aside. 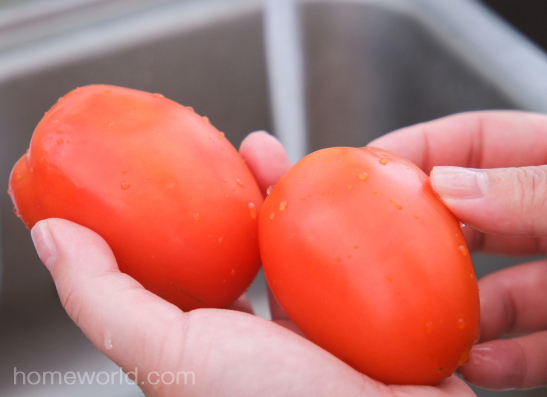 In the same skillet, add the tomatoes and season with salt and pepper, to taste. 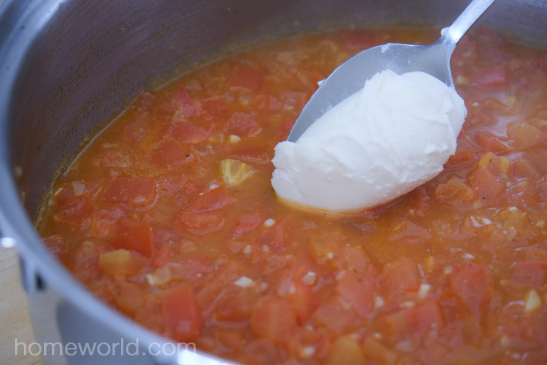 Cook over medium-high heat until the tomatoes start to soften, about 4 minutes. Turn the heat to high. Stir in the stock and scrape up the brown bits that cling to the bottom of the pan with a wooden spoon. Cook until most of the liquid has evaporated, about 2 minutes. 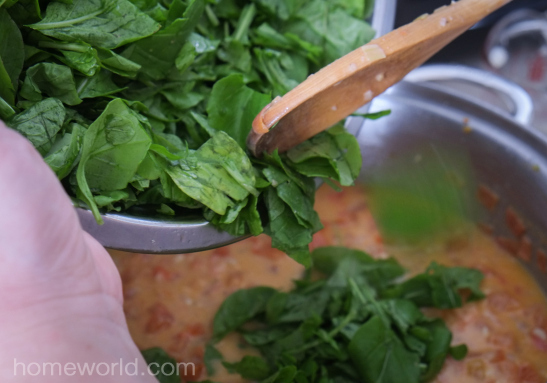 Remove the pan from the heat and add the arugula (or spinach), mascarpone cheese, and chopped shrimp. Stir until the mixture is creamy. Season with salt and pepper, to taste. Arrange the toasts on serving plates and drizzle with the sauce. 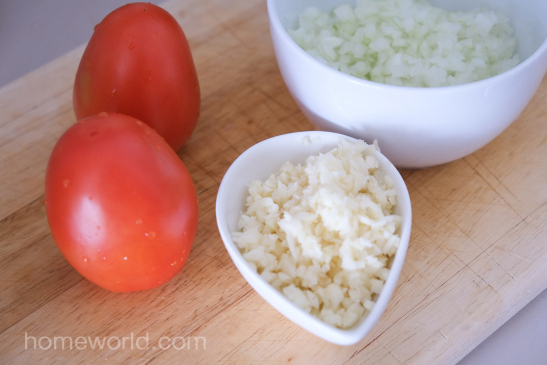 Sprinkle with salt and pepper before serving. Photos courtesy of Kevin Kabei. When not working as the Digital Media Specialist for HomeWorld, Taryn, an avid foodie is always cooking and trying new recipes. Taryn lives with her husband, Kevin, and their cat, Keiko in Honolulu. 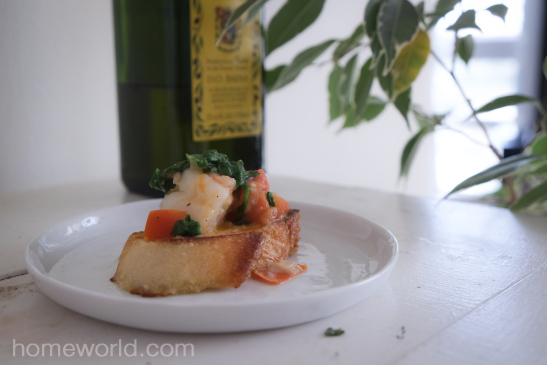 This entry was posted on May 9, 2014 by C. S. Wo & Sons, Ltd. in Event, Gifts, Holidays, Recipes and tagged arugula, Bruschetta, cooking with mom, family, Hawaii, holiday, HomeWorld, memories, Mother's Day, mothers, recipe, shrimp, visual inspiration.